B.J. Wilson, Front Royal Director of Finance advised Council on staff recommendations regarding bad debts. Photo and video by Mark Williams, Royal Examiner. The Front Royal Town Council has requested that Town staff research historic values on business utility accounts and review options for collecting bad debt on utility accounts associated with business accounts, such as LLC’s or Inc.
During the last three years the Town has written off $53,364.65 associated with business utility accounts; which equates to approximately 10% of the total dollar amount written off and 5% of the number accounts for the previous 3 years. The business accounts are usually some of the larger dollar figures being written off each year due to the commercial use. A small number of accounts makes up a larger amount of the total dollars written off. 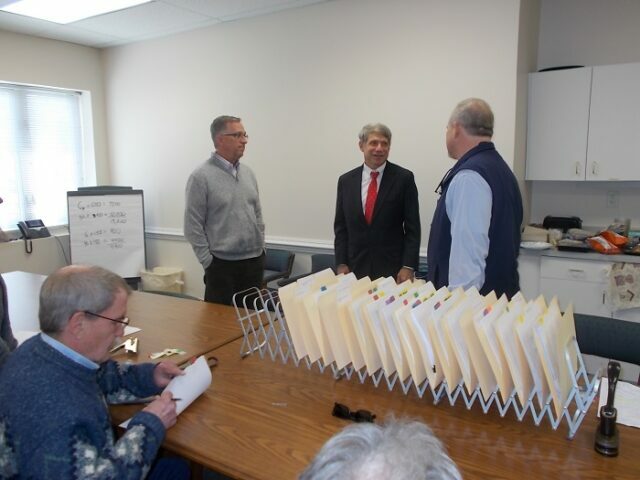 One concern the Town has relating to business accounts is that the owner may have multiple accounts under different names due to having separate LLC’s or incorporated businesses. Each LLC or Corporation is treated as a separate entity, so currently the only means the Town has to collect is from the specific LLC or Corporation. A solution to collecting on business accounts could be to require either a personal guarantee or if the responsible party is not willing to sign a personal guarantee require an additional amount for deposit. The document following this cover sheet illustrates possible wording to assist in collection of possible bad debt on business utility accounts. This could be adopted to be enforced on all current utility accounts or adopted to be enforced on future utility accounts moving forward from a specific date. 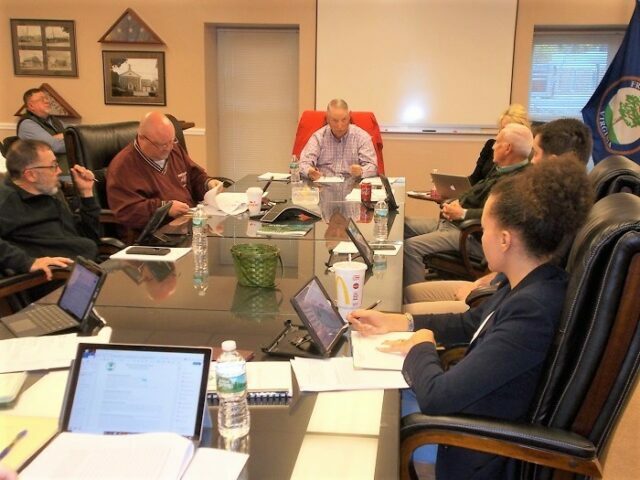 Town staff recommends for Council to approve the additional section in Town Code as you’ll see presented to assist in the collection of bad debt. Amount: For an existing residential service location, the deposit required for Town utility services shall be an amount equal to the highest monthly bill for that location during the preceding twelve months or one hundred and twenty-five dollars ($125.00), whichever is greater. For an existing commercial service location, the deposit required for Town utility services shall be an amount equal to the highest monthly bill for that location during the preceding twelve months or two hundred dollars ($200.00), whichever is greater. To calculate the amount of the deposit for newly established residential or commercial service locations, the Front Royal Department of Finance shall establish the deposit at an amount equal to the customer’s anticipated monthly usage of water and electric service, as may be the case. If, at any time, the customer’s deposit is waived or returned, as set forth below, but the customer’s service subsequently is terminated for nonpayment or the customer has made four late payments during any twelve month period, a deposit, in an amount as set forth above, shall be required. Deposit Waiver: Notwithstanding the foregoing, no deposit shall be required hen an acceptable credit history is furnished by the customer from a previous utility provider. Acceptable credit history is defined as a customer who can demonstrate that during the previous twelve months his bills were paid with no more than four (4) late payments on a monthly billing system or no more than two (2) late payments on a bimonthly system. Payment of Deposit: Payment of the deposit is due upon execution of the service work order. In lieu of the foregoing, when the required deposit for a residential customer exceeds one hundred dollars ($100.00) but is less than two hundred dollars ($200.00), the customer may elect to pay one hundred dollars ($100.00) at the time the work order is executed and pay the balance of the deposit along with payment for the first month’s service. When the required deposit exceeds two hundred dollars ($200.00), the deposit may be paid in two equal installments with one half due when the work order is signed and pay the remaining half along with the payment for the first month’s service. Interest and Refunds: Deposits shall be held in an interest bearing account. Deposit plus interest shall be refunded either: (1) upon termination of the service account in an amount equal to the deposit and accrued interest minus any amount deducted to satisfy customer arrearages or other debts owing to the Town; or (2) upon the customer’s request after a period of twelve months of service during which there were no more than four delinquent payments. Upon request of a refund, the Director of Finance shall first ensure that customer does not have any debts owing to the Town. If the customer is indebted to the Town, the Director of Finance will apply any refund toward satisfaction of these debts prior to the refund of any money to the customer. Due Date – Fines and Charges: All payments for water, sewer, electric, and garbage collection services shall be due within 20 days of the date of billing. Accounts, for which full payment is not received within 20 days, are delinquent. A late charge of 2% of the delinquent bill immediately shall be charged to the delinquent account. If the account remains delinquent for 10 days after the original notice, an additional service charge of $10.00 shall be charged. Finally, a service charge will be required to reconnect service that has been discontinued due to non-payment. If the reconnection occurs during normal business hours, the reconnection fee shall be $20.00-first reconnection fee; $30.00-second reconnection fee; $40.00-third reconnection fee; $50.00-reconnection fee for all other times. Allocation of Payments: During a delinquency in the payment for any service (electric, water, sewerage, or garbage collection) any subsequent payment received for services will be applied first against the most delinquent account which is not subject to a defense of any applicable statute of limitations. Budget Billing: Notwithstanding the foregoing, the Director of Finance, in his discretion, may enter into agreements with customers for alternative billing and payment schedules with persons on fixed or limited incomes. Notice: The Director of Finance shall notify the customer in writing of all 20 day delinquencies, imminent service termination, and right to contest as set forth below. Notice also shall be posted on the door of the premise with the delinquent account. 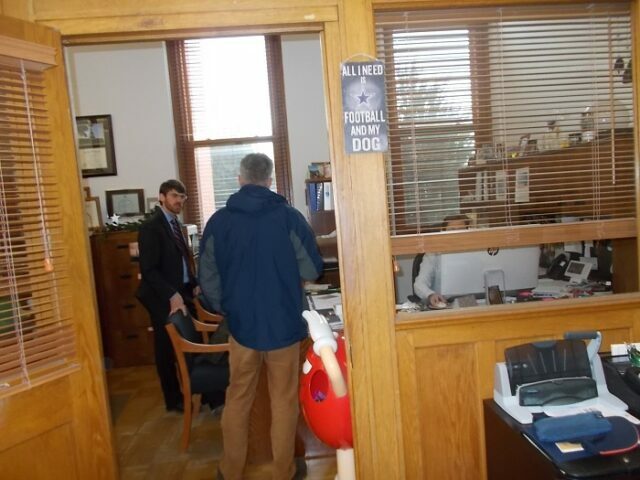 Protest: The customer may contest the bill by contacting the Director of Finance for the Town of Front Royal who will immediately schedule a hearing on the customer’s claim that his account is not delinquent. Disconnection of Service: If the matter is not successfully contested by the customer and arrearages remain 10 days after the date of the aforementioned notices, water service shall be disconnected. If the account remains delinquent after another 2 days, electric service shall be disconnected. If, however, the customer has not secured water service, electric service (rather than water) will be disconnected after 10 days. Notwithstanding the foregoing, no services shall be disconnected prior to a requested hearing. 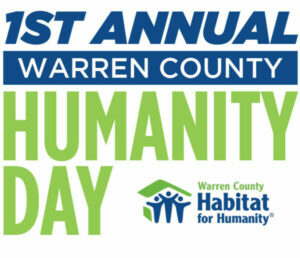 Persons in Poor Health: Customer may seek an additional 30 days before water and electric services are disconnected if the Director of the Warren County Health Department certifies in writing to the Town of Front Royal Director of Finance that the customer has a serious medical condition or the customer resides with a family member with a serious medical condition. Upon providing certification the service termination may be delayed twice within a 12-month period, but may not be consecutive, certification shall be valid for period of 365 days. Conditions for Reconnection of Service: Once disconnected, services shall not be restored to that customer until the outstanding balance (service fee(s), penalty, and reconnection fee(s)) for that service location is paid in full, unless the Director of Finance has approved other arrangements for payment in full. If a check is returned to the Town for any reason, the Director of Finance shall notify, in the same manner as provided above, the Customer. If payment, in full, plus a $35.00 service charge is not received by the close of business three days after the date on the notice, all utility services to the customer’s service location shall be disconnected. If the customer presents the Town with more than two bad checks during any twelve month payment, payment by check will no longer be accepted. The Town shall require any entity not a natural person requesting a utility account to either: (1) provide the written personal guaranty of payment from a natural person holding an ownership interest in the entity or, (2) pay an additional deposit amount equal to the greater of: (a) twice the average monthly utility bill during the preceding twelve (12) month period for utilities provided at the service location or, (b) $375.00. Any deposit paid pursuant to (2), above, after applying same to any past due balances, shall be refunded to the entity within a reasonable time after the utility account is closed. 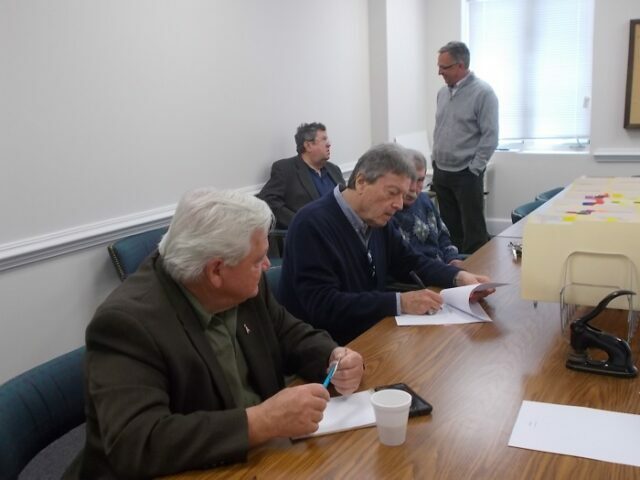 At the Front Royal Town Council Work Session on April 15, 2019, Vice Mayor Bill Sealock started the meeting with the announcement the Mayor Hollis Tharpe has taken a “leave of absence” while he deals with legal issues. He will not receive pay while on voluntary leave. 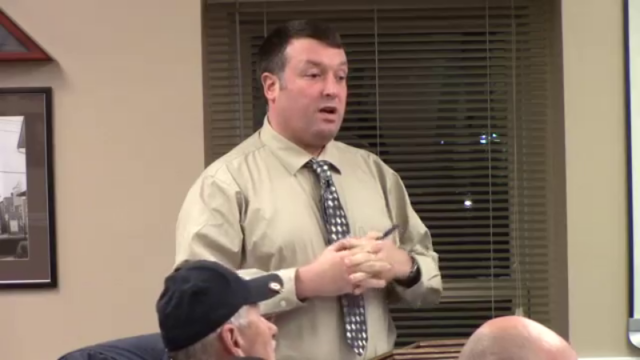 Also Town Manager Joe Waltz announces the “almost” completion of the new Police Department building. Moving operations to the new building will start the week of April 27th. 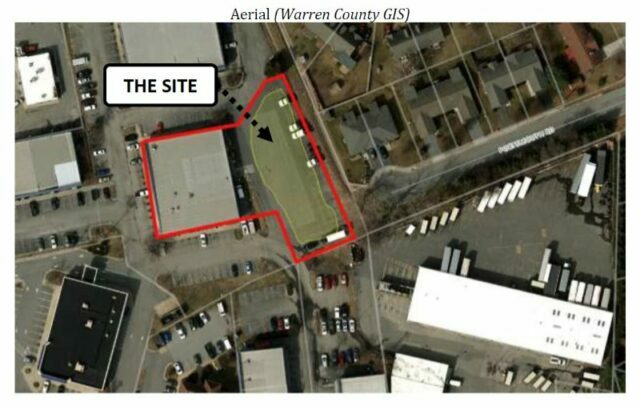 The first item on the agenda is the application from UPS to establish a commercial parking lot for overflow parking for the UPS Distribution Center at 912 John Marshall Highway. 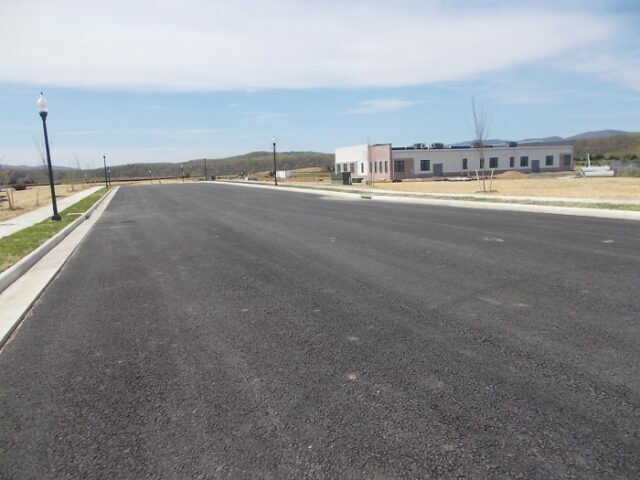 The area is located in the rear parking area of 470 S. Commerce Ave, situated to the northwest of the existing UPS Distribution Center, behind the existing business park, and to the west of the end of Portsmouth Road. This application is a request to obtain approval for a commercial parking lot for use by the UPS Distribution Center as an overflow parking lot. Commercial parking lots require a Special Use Permit (SUP) in the C-1 Zoning District. Note: A use is a commercial parking lot when the parking is a stand-alone use, in comparison to accessory parking for permitted uses on the same lot. UPS leases the property from the property owner, Puja Properties LLC, and has been doing so for a long time – allegedly since the late 1980s. This application is a response of Town Staff notifying UPS that they were in violation of the Town Code by using the property for truck parking because they have no prior approval and the Town Code requires a Special Use Permit for both commercial parking lots and distribution centers in the C-1 Zoning District. A use can not be grandfathered unless it was originally legal when established. The Town is authorized to require a special use permit for certain uses within any zoning district under Virginia Code §15.2-2286. Some specific uses are granted protection from regulation from localities by the Virginia Code, including agriculture uses, small scale conversion of biomass to alternative fuel, certain residential uses, private tents, farm wineries, assisted living facilities, and group homes. These exempted uses are not applicable with this application. 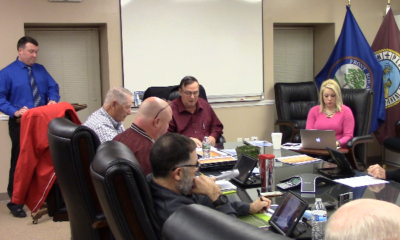 The Planning Commission originally reviewed the UPS SUP during their November 28, 2019 Planning Commission meeting, but action was postponed at the request of the applicant. 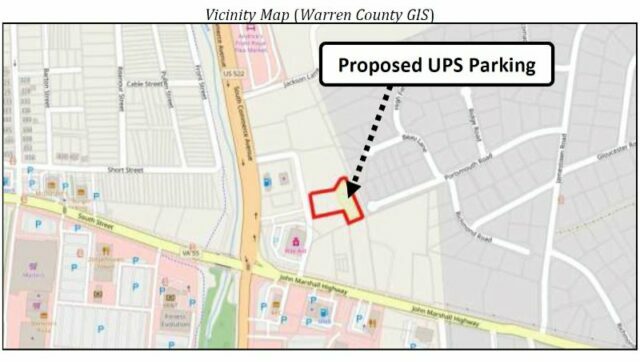 UPS revised their proposal to include a residential style fence as a buffer between the tractor trailer parking area and the residential subdivision to the north and east. 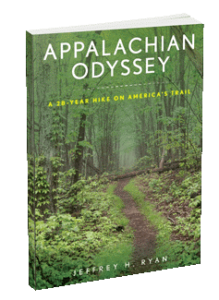 During their January 19, 2019 meeting, the Planning Commission voted to NOT recommend approval of this Special Use Permit Application. This decision was reached after consideration of input from the public and the revised plan submitted by UPS. While other concerns were noted, the primary unresolved issue was related to noise, and particularly noise during late night hours. 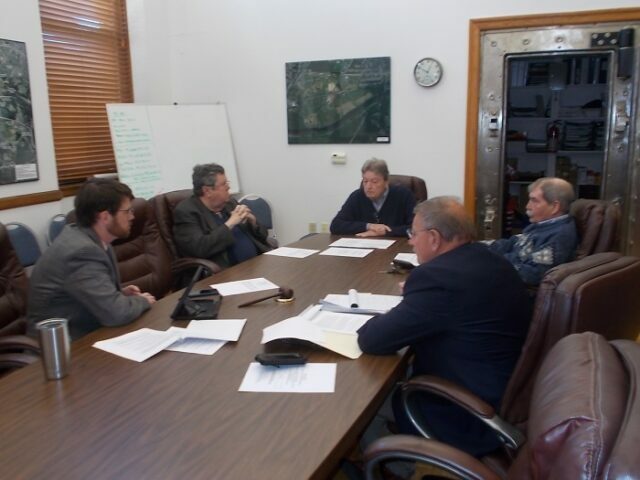 On February 13, 2019, prior to the Town Council Work Session following the Planning Commission’s hearing, UPS met with Town Staff and the Mayor and presented major changes to their application. The most significant proposed change included the removal of tractor trucks and trailers from the property. This special use permit is only valid for the purpose of authorizing a commercial parking lot in the rear of 470 S Commerce Avenue. Town Council, or other designated representative, may inspect the property at any reasonable time to ensure compliance with local regulations, including, but not limited to, the conditions placed on this special use permit. Upon inspection of the property, if it is found that the property is not in compliance with local regulations, including but not limited to, the conditions of this special use permit, the Town may revoke this special use permit after notice to the applicant and public hearing. NOTE: Conditions 1-3 are typical conditions used for most Special Use Permit Applications. Council agreed to place on the agenda at the next Council meeting on April 22nd. 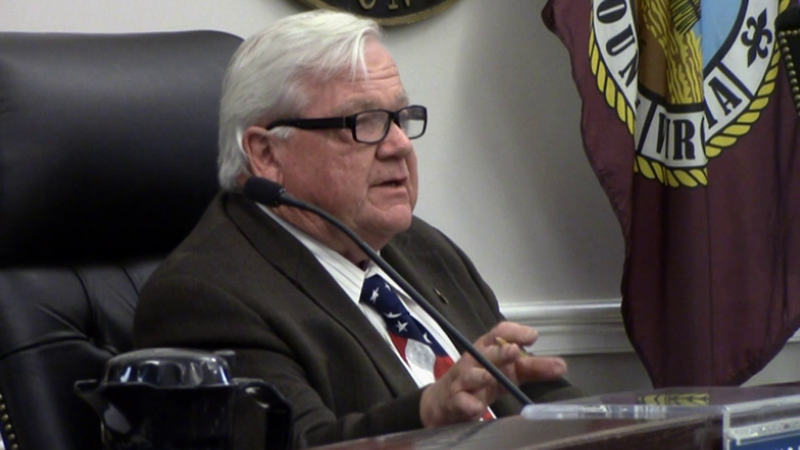 Front Royal Mayor Hollis L. Tharpe, 67, appeared in Warren County Circuit Court to face charges on Monday (April 15) upon being indicted by a Warren County grand jury on one misdemeanor count of solicitation of sexual conduct (18.2-346). According to Virginia State Police spokesperson Corrine Geller, the charge stems from an investigation initiated in October 2018 by the Virginia State Police at the direction of the Office of Attorney General Mark R. Herring. The incident remains under investigation. Tharpe was released by a magistrate on his own recognizance. 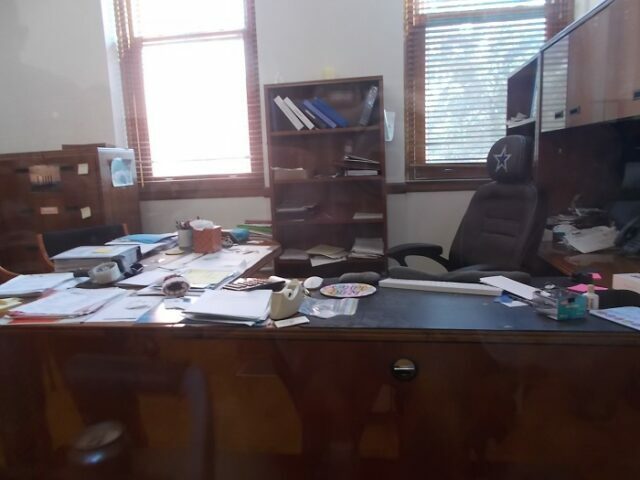 Monday morning Tharpe placed himself on voluntary and temporary administrative leave from his mayoral duties for the Town while he deals with legal issues. He will not receive pay while on voluntary leave. Court documents filed online Friday, April 12, 2019, indicated that Hollis Tharpe was poised to be indicted for “solicitation of prostitution” by a Warren County grand jury Monday afternoon (April 15). Tharpe declined further comment pending conversations with an attorney. 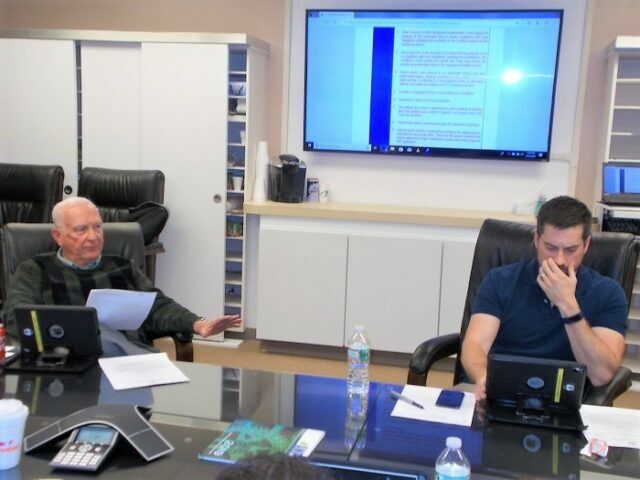 However, he said at the time he did not foresee the charge impacting his service as mayor of Front Royal in the immediate future – “I am an elected official,” he pointed out. 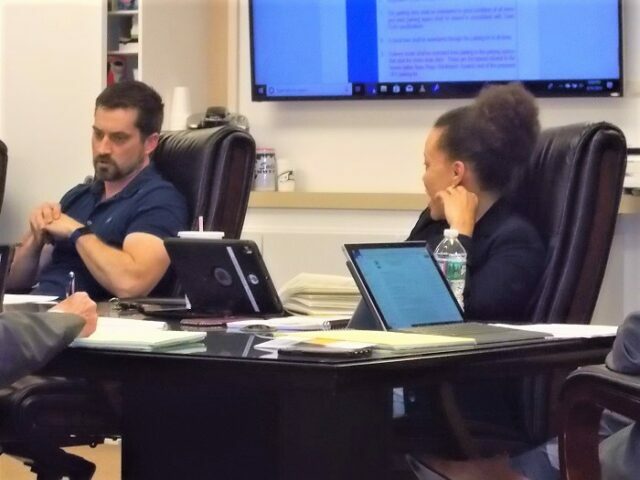 Winchester Commonwealth’s Attorney Marc Abrams was appointed by the court to replace Madden on the prosecutorial side were charges filed from the investigation into Front Royal’s mayor. 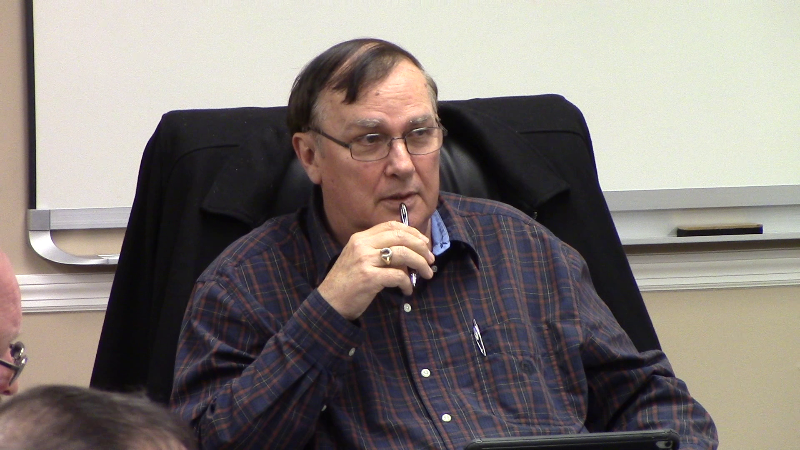 Vice Mayor William Sealock will preside over council meetings in the mayor’s absence. 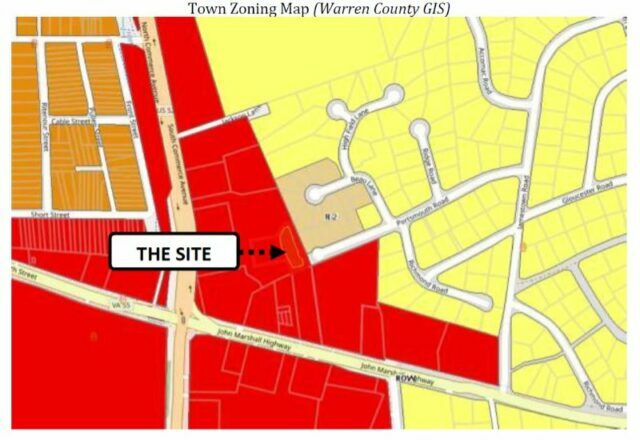 At the Warren County Planning Commission meeting on April 10, 2019, the Crooked Run West LLC requested an amendment to the Future Land Map in the Warren County Comprehensive Plan to change their properties from “Commercial” to”Mixed Use Development. 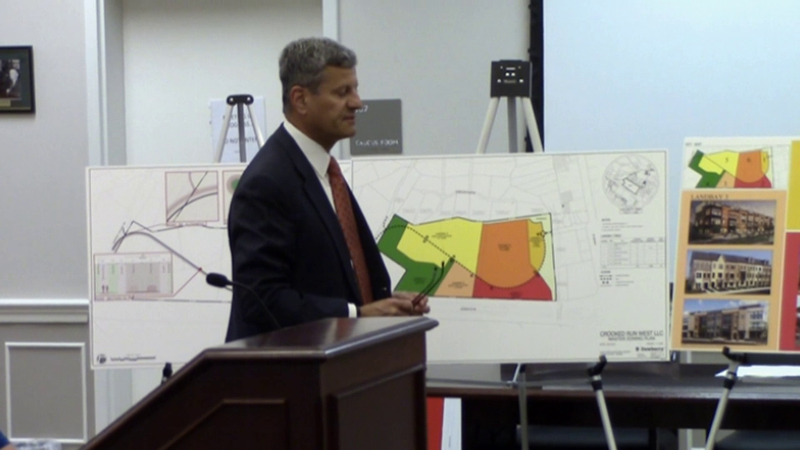 Also they requested to amend the Warren County Zoning Map and rezone some Commercial and Agricultural acres to Suburban Residential. 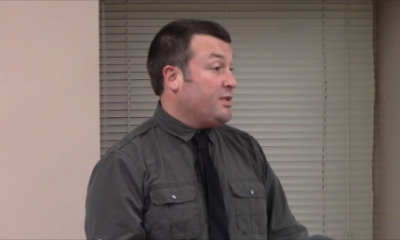 Their third request was for a conditional use permit for a planned residential development. The public spoke and and Commission listened. With a 2 to 1 vote (two members not present) voted to deny all of the requests. This could go to the Board of Supervisors for final action. One consideration really not mentioned is water. In the current agreement the County has with the Town (who has the water) no residential uses are permitted. So will they make changes to the agreement? This may be brought up at the next Town Council meeting. Stay tuned.